the anterior convolution of the parietal lobe, bounded in front by the central sulcus (fissure of Rolando) and posteriorly by the postcentral and interparietal sulci. a convolution of the brain immediately posterior to the central sulcus of the cerebrum. It is the location of the sensory strip for the contralateral side of the body. 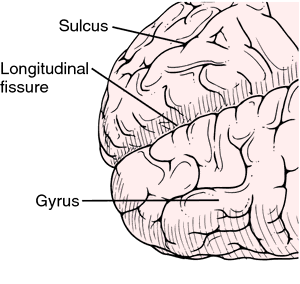 The anterior convolution of the parietal lobe, bounded in front by the central sulcus (fissure of Rolando) and posteriorly by the interparietal sulcus.